These are photos of Hamilton and pioneers who lived there. 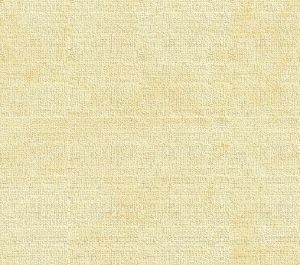 We need some more information about these people and we hope that readers will be able to tell us more. And we hope that more descendants of pioneer families will share copies or scans of photos, and copies of old documents and newspaper articles. We never ask for your originals. We plan to completely adding new photos from readers and descendants. For now, we leave it in its original state. Can you provide copies or scans of photos and documents that will illuminate the story when we update it? We never ask for your originals. The photo on the right is of Marshall Jake Woodring, who was killed in a fracas in 1903 while rousting drunks in downtown Hamilton. The photo on the left is of the eighth grade at Hamilton Grade School in 1948, courtesy of readers Lois Pinelli Theodoratus and Bobbi Hendrix Bryant, who went to school upriver and have contributed much material for the website. Front row, left to right is: Joan Jensen, Janet Willard, Cleo Bertelan, Roy Frizzell, Diane Lind, Donna Davis, Dorothy Telgenhoff, Lois Pinelli. Middle row; Eddie Evans, Bonnie Schultze, Mattie Fay Bates, Magdalene Cook, Annie Adams. Back row; Leland Metcalf, John Moody, Jim Drake, Thad Martin who was 8th grade teacher and also school principal. The photo on the left is of the late Bill Soren's old service station that stood to the west of Hamilton, right where the pavement used to end. Does anyone have memories to share of Soren, the station, the highway and how and when it was built, and the settlers out in that area? The photo on the right is of Bessie (Benston) Luton circa 1910-1915. Her husband was Edward Luton, who was killed in the line of duty in Hamilton on December 15, 1929, under very mysterious circumstances. 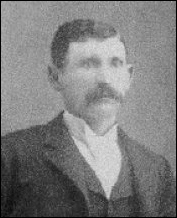 After his death, Bessie took over as town marshall until a permanent one was appointed three months later. She also wrote the news of Hamilton for a Sedro-Woolley newspaper. She was pregnant with her youngest child when Ed was killed. Her historical ties run even deeper since she was the sister-in-law to William Munks, who deeded the first land in future Skagit county, and later moved to Hamilton from Anacortes. Ed received a posthumous state medal three years ago, and Don Kelly, Luton's descendant who went to school upriver, is helping us assemble information for an upcoming story. We need more information and newspaper articles about both Ed and Bessie and William Muncks to complete the story. Can any of you help? Please email if you can. 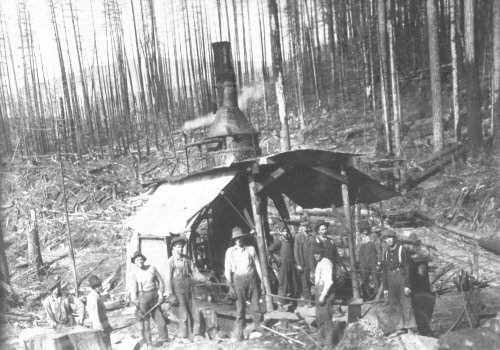 On May 14, 1912, smoldering embers near Birdsview flamed into a monster forest fire that wound up burning 32,000 acres from there to Hamilton and destroyed four logging camps of the Dempsey brothers and Ed English. This is a photo of the aftermath of fire. Can you help us with any family memories of this fire or identify the people in this photo? 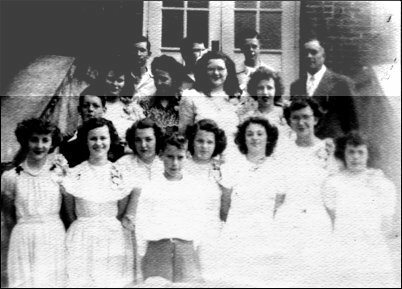 This photo is of the 1944 Hamilton Grade School Graduation Class, courtesy of Lois Pinelli Theodoratus. 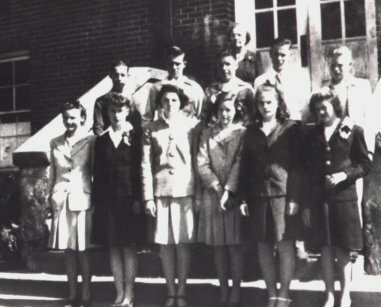 Left to right, front row: Evelyn Bird, unknown, Shirley Smith, Jean Temple, Mary Rea Luton, Virginia Pinelli. Second row: Billy Eicholtz, Baxter Cook, Ted Drake, Leo Mayville, Howard Rathvon. In back Mrs. Bridge, teacher and principal.